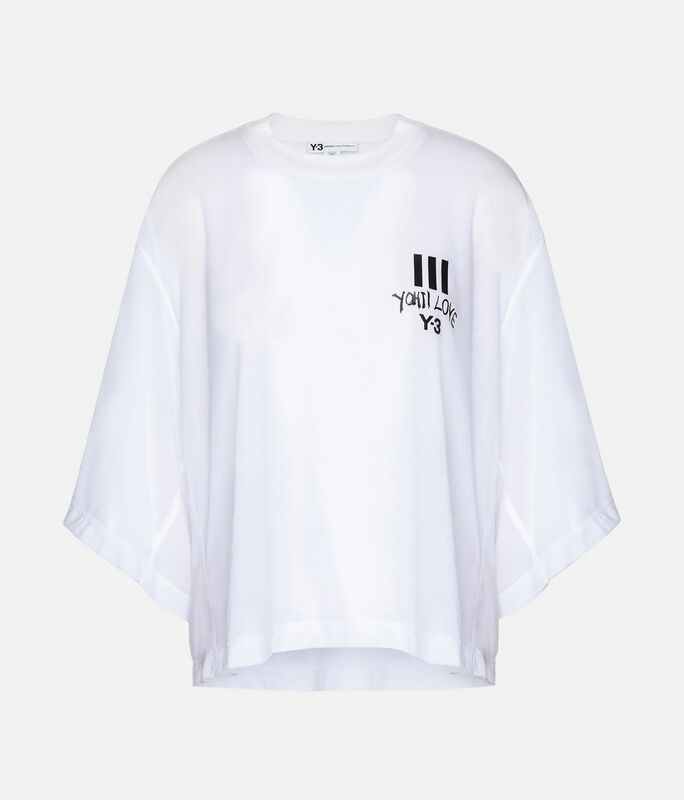 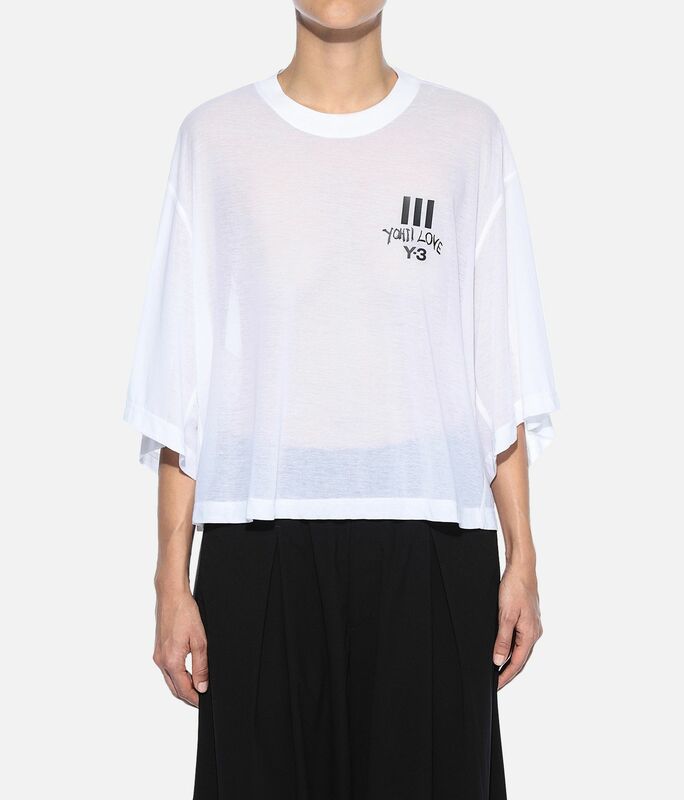 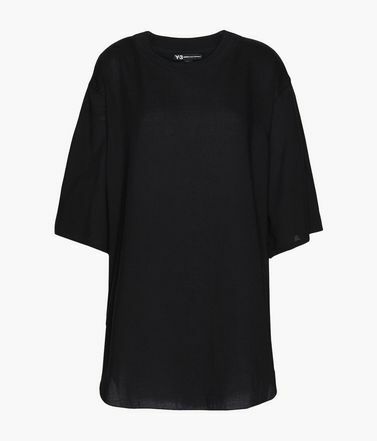 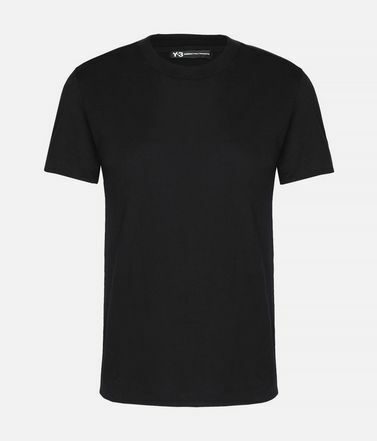 The Yohji Love Sheer Tee juxtaposes its minimalist aesthetic with a bold, contrast graphic. 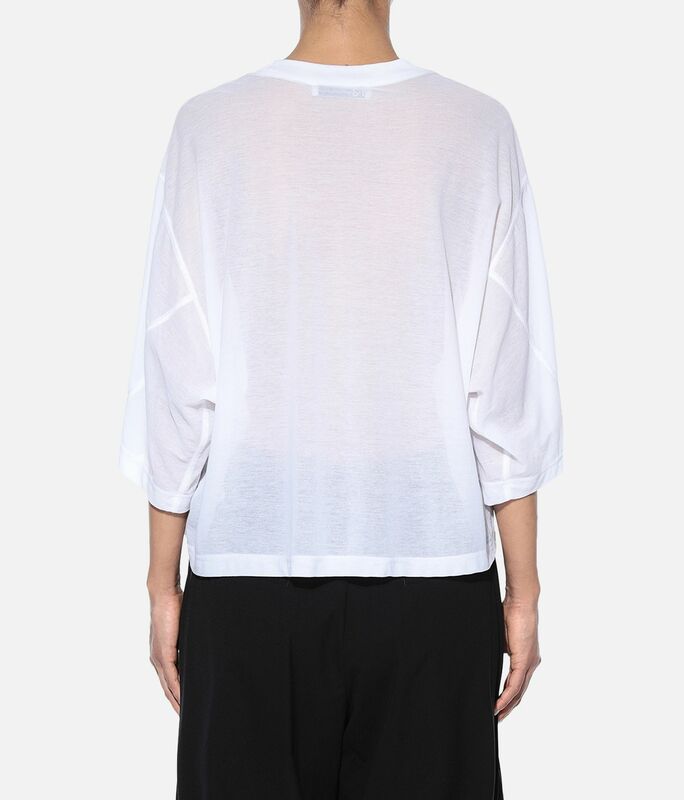 Crafted from soft cotton, the cropped tee drapes on the body with an oversize shape. 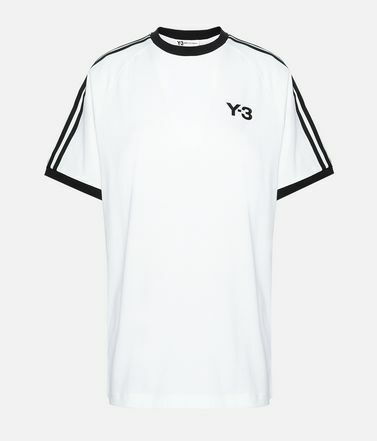 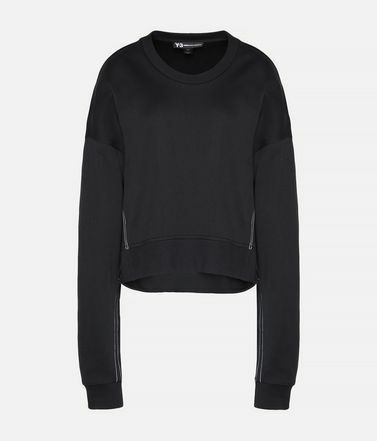 Ribbed crewneck.Cropped length.Y-3 Yohji Love stacked logo on chest.Care instructions: Wash separately, gentle machine wash cold, line dry, iron low, do not iron print.Oversize fit.70% organic cotton / 30% nylon jersey.